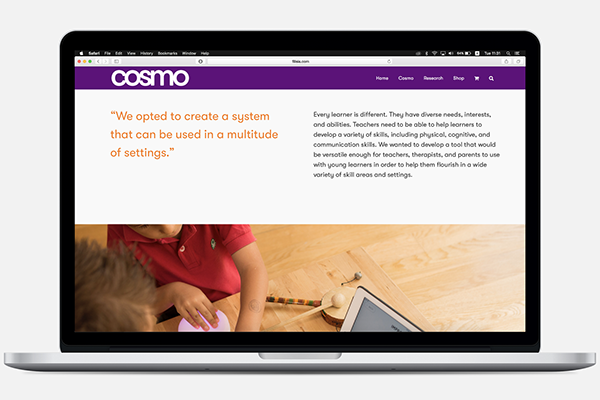 Cosmo is a product designed by Filisia, to help therapists focusing mainly on autistic children patients. 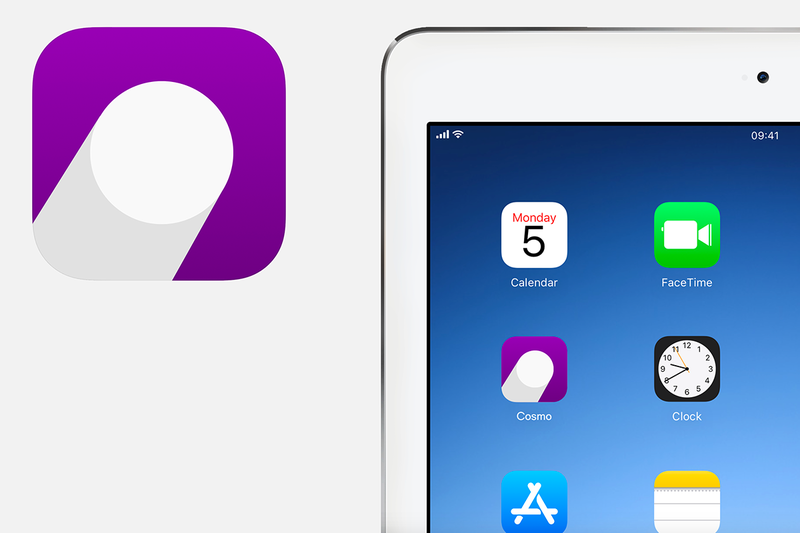 It consists of several units that light up to a colorful set and are combined in several ways to assist, among others, coordination, movement and memory exercises. The kind of relationship and dependance growing between therapist and patient, in relation with the name cosmo, reminds us of the same “magnetic” relationship that exists between planets. 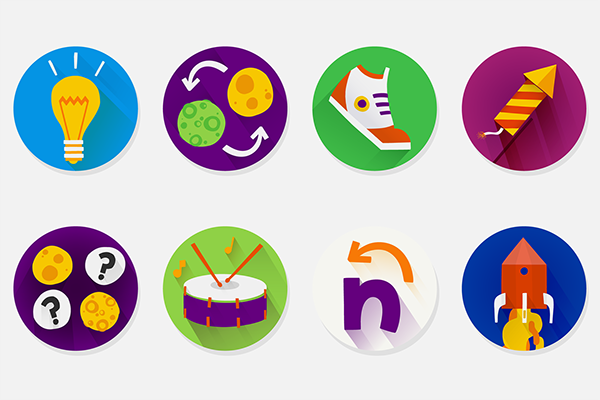 This magnetism becomes the main force that drives the design approach. 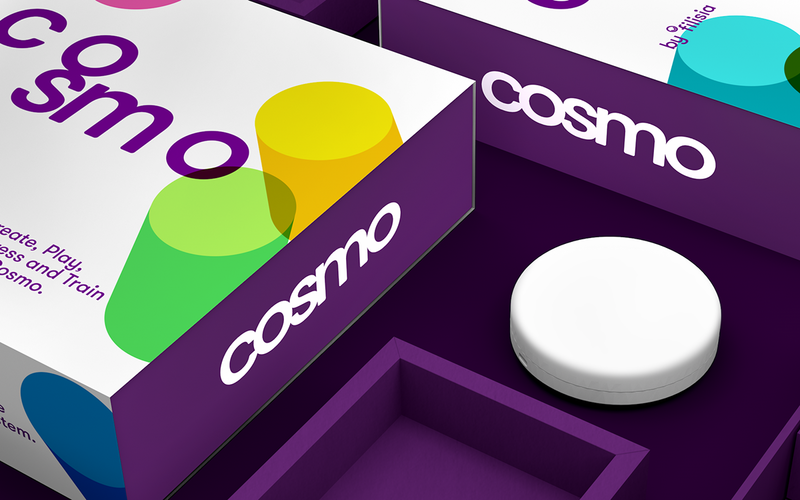 Cosmo’s logo and its round units, follow this concept and form a vivid and colorful visual identity. 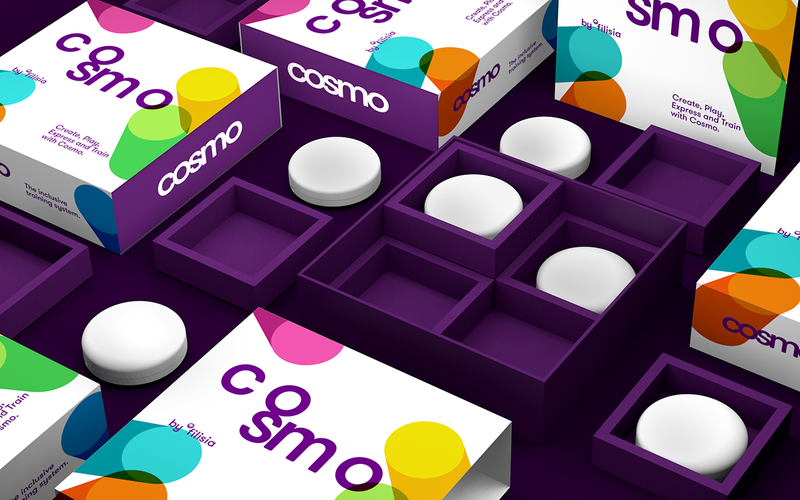 Cosmo Creativity in therapy. 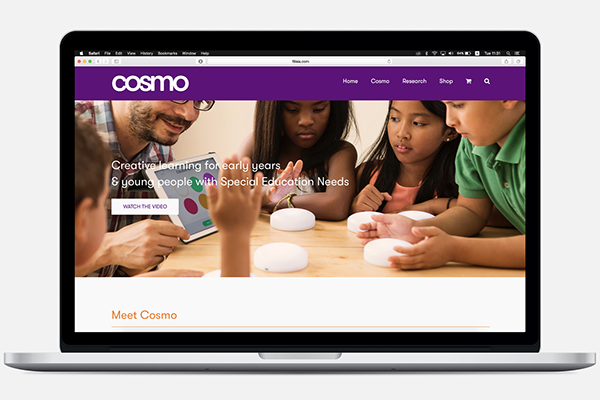 Cosmo is a product designed by Filisia, to help therapists focusing mainly on autistic children patients. 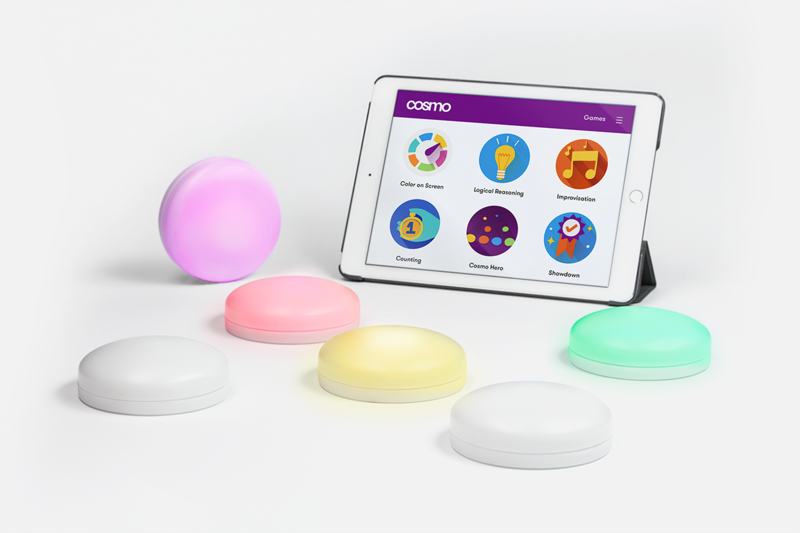 It consists of several units that light up to a colorful set and are combined in several ways to assist, among others, coordination, movement and memory exercises. The kind of relationship and dependance growing between therapist and patient, in relation with the name cosmo, reminds us of the same “magnetic” relationship that exists between planets. This magnetism becomes the main force that drives the design approach. 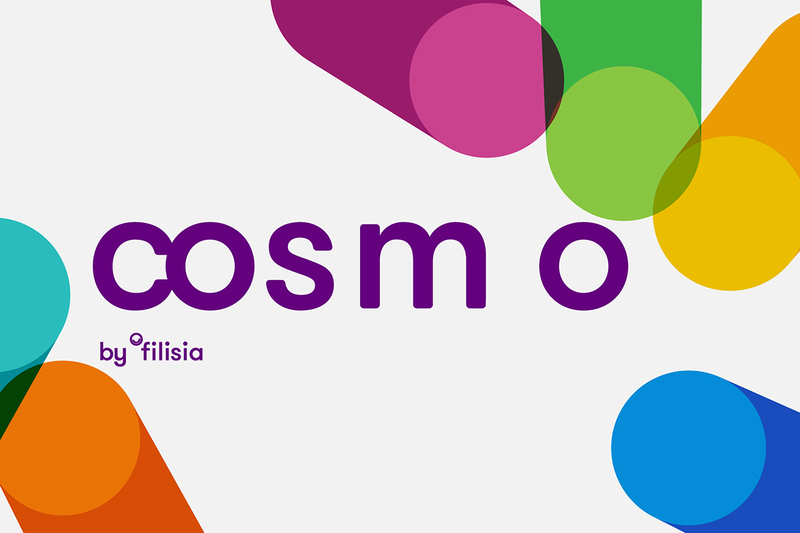 Cosmo’s logo and its round units, follow this concept and form a vivid and colorful visual identity.